Matt Worden Games is a Minnesota-based card and board game design and publishing company focused on family-friendly strategy games. The board game industry is several decades into an amazing boom that has included an ever-improving standard in design and production quality. 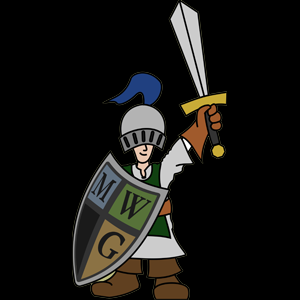 Our goal at MWG is to incorporate the best of these innovations into games that will connect with a wider audience and introduce new people to this enriching form of entertainment. Level 1 – Casual Games – Our “Casual” games are easy to learn and fast to play. They come in a smaller package, take less than 30 minutes to play, and cost $10-$25. Level 2 – Strategy Games – Our mid-level “Strategy” games add some additional complexity. They come in medium-sized boxes, take 30-60 minutes to play, and cost $20-$50. Level 3 – Big Games – Our “Big” games are meaty, immersive games that come in a big box, with lots of components, take 60+ minutes to play, and cost $40 and up. All of our products will be available here in our webstore, at select retailers, and at the conventions we attend as vendors. While 2018 marks a bit of reboot for MWG with more of a focus on publishing new products and selling games, we will also be updating and relaunching some of our more popular older titles (like Jump Gate and Dicey Curves) over the next couples years. Check out our Accolades page for examples of our successful games over the years. You can stay up-to-date with what we have happening on a near-daily basis through our Facebook Page, our Twitter feed, and Instagram feed. We have an about-monthly newsletter as well.